and surrounding beaches of southeast NC. 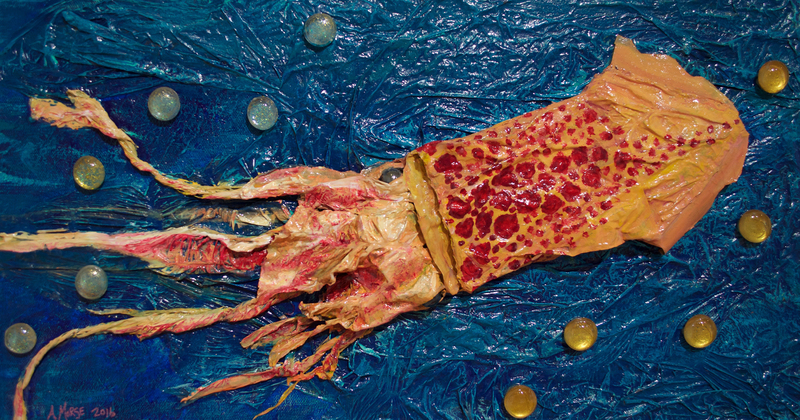 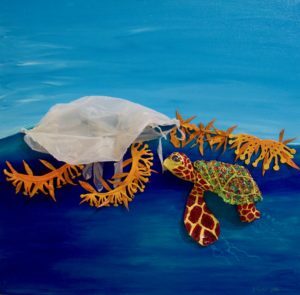 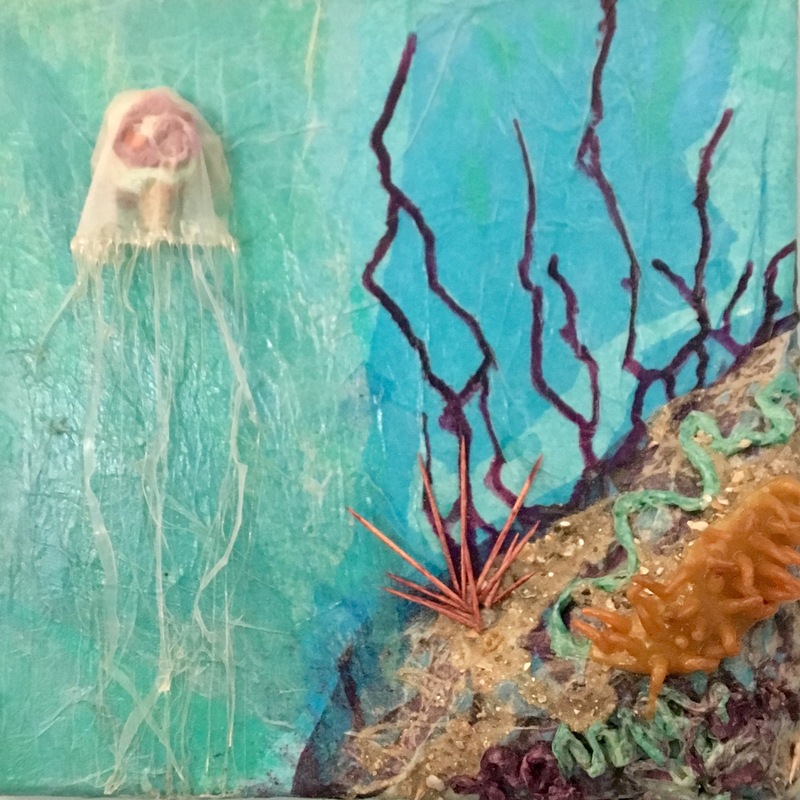 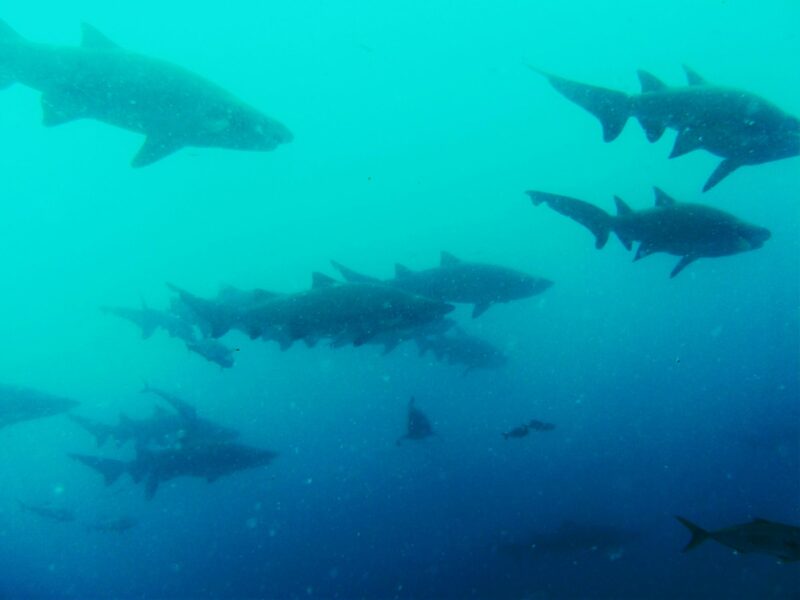 Solo exhibit, Plastic Ocean, is on display at the NC Aquarium at Fort Fisher during July, August, and September 2018. 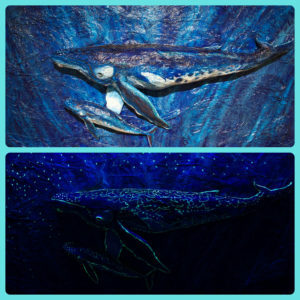 All paintings are for sale and will be on display in the Spadefish Gallery near the stingray tank. 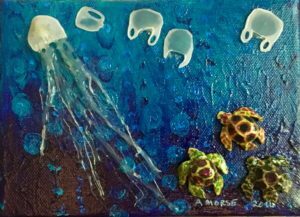 Twenty percent of proceeds will be donated to Plastic Ocean Project to help clean up our oceans and spread awareness of plastic pollution.